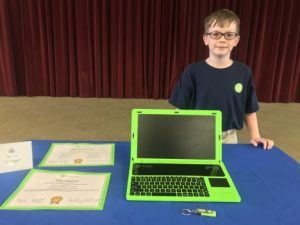 The Fountains at Boca Ciega Bay and Watermark for Kids have propelled another child’s passion, this time in the name of a tech-lover’s summer camp. Riley Gigstead, 10, spent one week at iD Tech Camp practicing his craft while learning how to build a computer and baseline code for games. WFK sponsored Riley’s summer venture and The Fountains welcomed his visit where he was able to share what he learned, and get a behind the scenes look of tech operations at the retirement community. An article was recently published on Tampa Bay Newswire on Thursday, September 14th, 2017. To read the full article, please click here.